How will you stop someone who won't even let your dreams be? Who will never let you rest and regain some strength so you are able to keep on fighting. 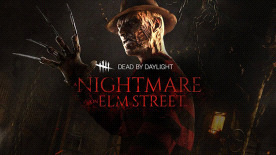 Freddy is relentless in his struggle and yearns for retribution. He does not sees the wrongs he did, but rather how he was wronged. He does not hear the cries of pain and suffering children. He just sees his claws closing in on your neck. Quentin Smith will never run out of pills to keep him awake, of energy drinks to make him go another mile or another hour. He will never stop, and hopefully he will never sleep. Ever again. Or at least until he's managed to stop Freddy. Fear poses an option: head into the storm and ride it out, or accept the inevitability of death and just go to bed. Quentin chooses the first one. But how long can he avoid sleep? And how will he manage in this place? Where even death can't provide any kind of tranquility. When you think "preschool", you think of learning. Development and knowledge. You put trust in its meaning and heritage. Badham Preschool however, was something completely different. On the outside it posed as a place where everyone could feel safe. But it held pain and suffering inside. Freddy roamed the premises and distorted everything we took for granted. Nowadays, the preschool is just a shattered memory. Where hallways are abandoned, and where toys provide a disturbing sight of never forgotten torment. It's not what it once was, and it will never return to its old shape. It is forever tainted.